When you find yourself staring at an ugly mountain of trash sitting on your property after a home project, and you don’t know how to get rid of it, call Jux2 Dumpster Rental. We will remove that unsightly mess to restore order in your home in Paradise. We extend our services to residences and businesses in Las Vegas area. Don’t worry where and how to dispose them. Having a dumpster is mandatory for all construction projects, be it major or minor home renovation ventures or other industrial uses. However, if you haven’t rented a dumpster before, the process may be stressful and overwhelming the first time. We can resolve this issue easily with the use of our roll-off containers to get all your junk out at the most affordable rates. Our Paradise roll off rental services are suitable for all types of sites, such as distribution and manufacturing sites, educational facilities, healthcare facilities, construction sites, and much more. Customers want to pay for just the right size of dumpsters’not unnecessarily too big that will be a waste of money and not too small either that would require another dumpster order. We have dumpsters with sizes ranging from 10 cubic yards up to 40 cubic yards. You can have an idea about the right size of your project by taking note of the size of the work and the type of scrap materials it would generate. Pieces of concrete and junk appliances will use up more space than dismantled wooden strips, panels, and roof shingles. Our smallest dumpster is good enough to dispose of the mess resulting from the cleaning out of a room, a small garage or basement. Perhaps you are tearing down an old fence, undergoing a landscaping escapade and need to get rid of tree stumps and weeds, these dumpsters are a perfect fit and an appropriate choice. Our mid-size 20 cubic yard type dumpsters can contain junk from clean-ups of larger rooms, basements, attics, and garages. It can also contain trash from large yard cleanups, floor tiles or decks of about 400 square feet. You will require our largest container’our 30 to 40 cubic-yard dumpster’if you’re cleaning out your entire office building or if you are making a major house renovation or construction of a new house extension. They can hold between thirty and forty cubic yards of debris/junk which is equivalent to around nine to twelve pickup truck loads full of trash. 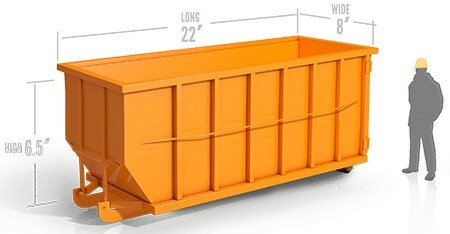 Contact us now at 775-525-3530 so we can help you find the perfect dumpster sizes. For quality and affordable roll off rental service in Paradise, including the city if Minneapolis, feel free to contact us. The weight of the materials you’re disposing of will also affect dumpster pricing. Heavy materials mean more difficulty in loading and offloading them and more fuel consumed in transporting them to the landfill. The reason for this is that the heavier the trash, the more difficult it is to haul, and the more fuel is used by the truck transporting it. All rental companies will want to know the type of waste material you will be loading in the dumpster and how much debris/junk will be going in the dumpster. If your trash weighs more than the allowed weight, then you’ll have to pay a surcharge fee for it. Our representative at Jux2 Dumpster Rental would be able to answer all your questions regarding pricing and permits. Aside from the roll off rental price, you need to be ready to pay for possible county or city landfill fees and also permits. We would be glad to share with you our company price list for various dumpster services. After you’ve selected the right roll off rental service for your project after consulting with Jux2 Dumpster Rental. What is next? We advise all of our customers to contact their local county office in regards to whether or not you need to obtain a permit for your dumpster. Under normal circumstances, you do not need a permit if the dumpster will be parked on your own private property. Not all companies charge using the same formula. If there is no more space in your driveway or yard for parking the container bin, you have no other recourse but to have it placed just outside your yard on the street, which is public property. Clear all of this before you start the renting process. When you require a dumpster in Paradise, give Jux2 Dumpster Rental a call at 775-525-3530. We can assist you with your dumpster needs regardless of the scope or size of your home or office project.